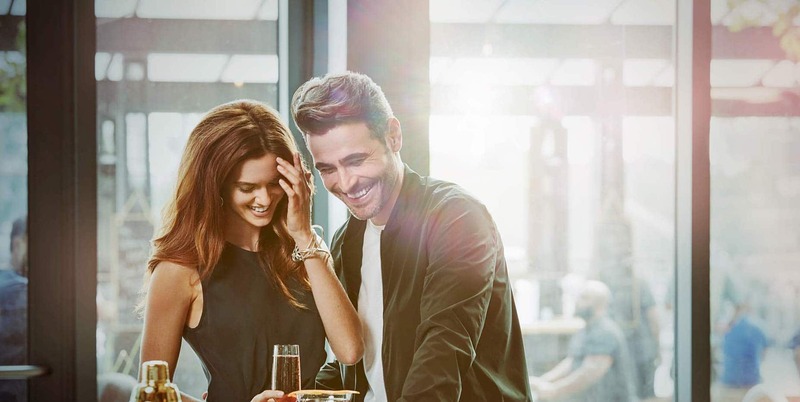 From breakfast to dinner, and every sip, bite, or break in between, InterContinental Washington D.C. – The Wharf’s dining outlets offer a variety of food and beverage options of worldly influence. Our unique menus seek to stun the taste buds of the world traveler while offering options of familiarity to solace as well. Whether you’re looking for light fare with a view to embrace your getaway, or a comfort meal to enjoy within the bounds of your hotel, InterContinental Washington D.C. – The Wharf will fulfill your craving. Come as friends and leave as family; this is the vision of Kith/Kin. Creator and Executive Chef, Kwame Onwuachi brings this vision to life for every guest that dines with us. From seating and menu styles to flavors and location, Kith/Kin invites you in and makes you feel at home. Enjoy a unique menu of Afro-Caribbean cuisine with a view of the nearby waterfront provided by floor to ceiling windows that may be opened, weather permitting. Our bar and lounge area is another great option to unwind on the weekends or after a busy day; have some drinks and share some appetizers in this intimate space. No matter the day or occasion, big or small, we welcome you with open arms, friends/family, to enjoy the dining experience that is Kith/Kin. Located conveniently across from the waterside entrance to the InterContinental, The Watering Hole is a casual outdoor bar right along the Potomac. If you’re looking for a place to sit riverside and enjoy the view with some light fare during your stay, The Watering Hole is the perfect spot! Enjoy an intimate private dining experience or host any caliber of special events with a menu built from generations of influence among one unique, global atmosphere. Located inside of the hotel restaurant, Kith/Kin, The Den is our private dining room that is available to rent. Up to 50 guests can be accommodated in this exclusive space to enjoy Chef Kwame Onwuachi’s distinctive menu of Afro-Caribbean Cuisine. Enjoy any meal from the comfort of your room. Our In Room Dining menu ranges from breakfast, lunch, and dinner to share-ables, appetizers, and drinks. So no matter your craving, we’ve got you covered! Just give us a call and have a relaxing night in.